• Gaeta Olives, also called Oliva Itrana. 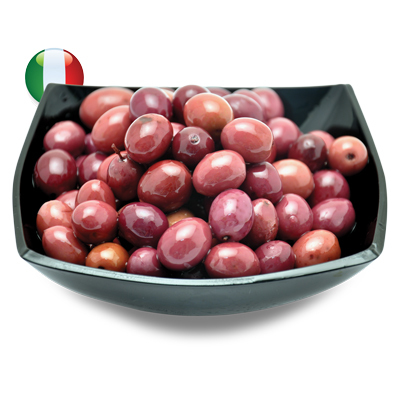 ... the black pearl of Italian Olives, the most famous and appreciated from Italian olive consumers. These olives are only aged in water and salt, according to the traditional processing method we call “al naturale”. Whole and Pitted shapes are available today.